There are several email applications, which are available in the web market. But, the most trending ones are Microsoft Outlook and Mozilla Thunderbird. Both these email client applications are desktop-based programs, which are quite useful for managing emails on the local machine. However, one might get confused while making a decision in choosing one email application from both. It is so because this decision is totally dependent upon requirements of a person. Therefore, this blog is going to help such end users to pick out a correct email application for fulfilling their needs. 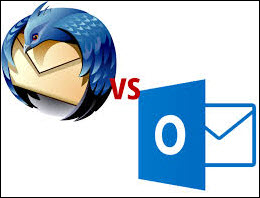 Which is better Outlook or Thunderbird? 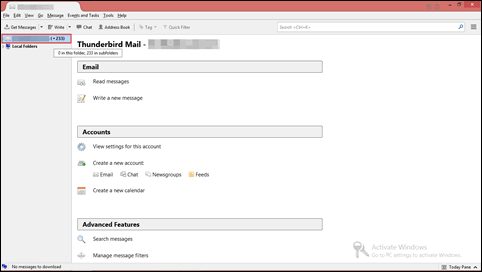 Thunderbird is an open and absolutely free desktop-based email service. It enable its users to send or receive information from all around the world. It comprises of many advance features for carrying out bulk amount of emails with an ease. Email folders like Inbox, Sent, Trash, etc., are provided by this freeware for holding mails on a local machine. Apart from email item and its sub-folders, all other items like contacts, calendars, tasks, events, etc., are also provided by this program. In addition, Mozilla Thunderbird enable users to configure their existing email account of any other email providers like Gmail, Yahoo, Rediffmail, etc. 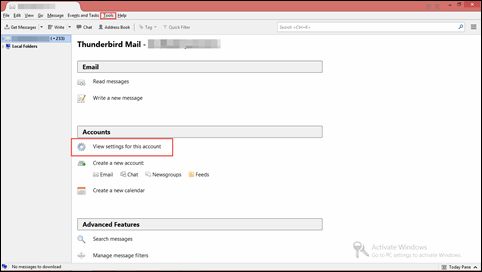 This feature will help one to operate multiple accounts all together just from a single application i.e., Thunderbird. 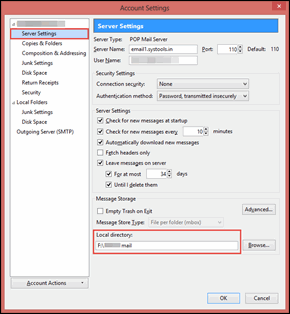 Launch Mozilla Thunderbird on your machine and click on the mail account for which you want to determine file location. Now, either click on View Settings for this account from current page or go to Tools >> Account Settings option. The location given in text box is the path where Thunderbird saves its emails or any other data locally, after its complete downloading. Therefore, one can copy the location and then paste it in Windows Explorer for viewing Thunderbird files on the local machine. Cost The trial period of Microsoft Outlook application is available for free in order to learn the working of this email application. However, after completion of a specific time period, one will have to purchase the application from official and trusted site. There no investment required to use Mozilla Thunderbird application on PC. It is completely a freeware and an open source for mailing purpose. 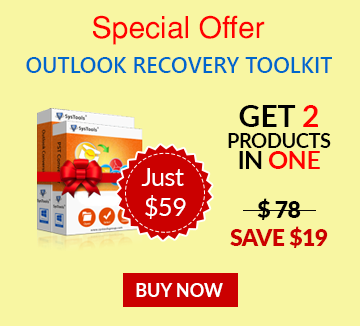 Add-on utility MS Outlook provides scanpst.exe, Hotmail connector, etc., as its add-on utility, only if users are using purchased version of the software. Thunderbird provides multiple add-ons for different purposes like Import/Export, extract attachment, save file in different format, etc. These utilities are easily available and free on the official site. Conclusion: What to Choose and Why? MS Outlook and Thunderbird both these applications acts like a personal information management system. When it comes to selection point of view then, it seems that Microsoft Outlook is a reliable application for a middle or large enterprise users. Well, when it comes for small or home users then, one should use Thunderbird for mailing purpose. These suggestions are totally based on the application interface, performance, technicalities, and speed of the both desktop-based email applications.